According to our forums, Giampaolo Sgura doesn’t exactly have the best track record delivering innovative and flattering Vogue covers. 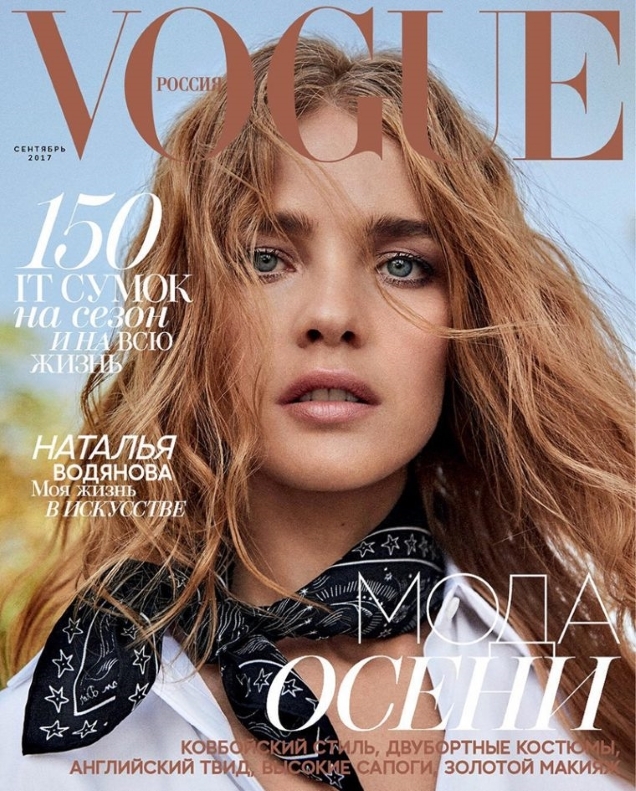 In a very short space of time, he’s managed to do a massive disservice to both Claudia Schiffer and Anna Ewers, but somehow manages to redeem himself with Natalia Vodianova on Vogue Russia’s latest. The magazine welcomed back its native supermodel for September 2017, with an effortless, undone cover image. Our forum members were pleasantly surprised with the outcome. “This is pretty good actually. Definitely one of his best covers. He produces better work outdoors compared to his studio shoots which have horrible lighting and over-saturated colors,” noted GivenchyHomme. “Nice work for Sgura. Not super impressed but better than his latest efforts,” admitted lelaid. “Sgura gets a prize for managing not to ruin yet another cover. Natalia looks great and there’s a casual late summer mood that’s working well here, maybe better for an August cover than September but I’ll take it regardless,” expressed zoom. Szonline felt the same way. “Very good cover! Especially for Sgura,” she favored. However, not everyone was so quick to praise the cover. “You guys happy for what? This is a bad photo,” stated a far from impressed madzedre. “This magazine hasn’t been the same or worthy of being called Vogue since Alyona [Doletskaya] left. It lacks identity and a vision. This could easily be classified as a generic Bazaar cover. I’ve seen better ELLE covers,” scolded MON. “I want to like it but there’s something off with her face. Maybe the angle of the shot?” questioned a suspicious khyrk. See what to expect from Natalia’s cover story and add your own two cents here.